If you or a loved one have Pennsylvania Medicaid (sometimes referred to as Medical Assistance) and live in Southwest Pennsylvania, you’re probably in the process of deciding on a Community HealthChoices provider for next year. Medicaid recipients in other areas of the state will make the same choice sometime next year. By now, you may understand what’s changing under Pennsylvania Medicaid and that you have to choose a health care provider to manage your long-term Medicaid services. But how familiar are you with your options? Under Community HealthChoices, adults on Medicaid and Medicare, and adults receiving long-term services through Pennsylvania Medicaid must select either a LIFE program, like Senior LIFE, (if eligible) or a managed care organization (also called an MCO). But what’s the difference really? Let’s take a look at your options. All providers under Community HealthChoices share some things in common. Both MCOs and LIFE programs like Senior LIFE will coordinate all medically necessary services for Medicaid enrollees. This care is designed to help keep seniors healthy, independent, and living within the community. The similarities, though, end there. The three MCO providers—AmeriHealth Caritas, Pennsylvania Health and Wellness (Centene), and UPMC are headquartered in large cities within the state. Senior LIFE centers, on the other hand, are based within your local community. Care is provided by a team of qualified and compassionate people at Senior LIFE who both live and work in the community. They understand the special needs and concerns of those in the local area. The MCO plans provide medical and support services for their members. This includes caring for all health and medication-related needs. Senior LIFE also provides medical and support services for our members. These services, including therapy and pharmacy services, are provided within a local healthcare network, which includes the community’s closest hospitals and best medical specialists. Most care is provided in the member’s home and at the Senior LIFE center. These specially designed centers are modern and inviting and are located right in the local community. 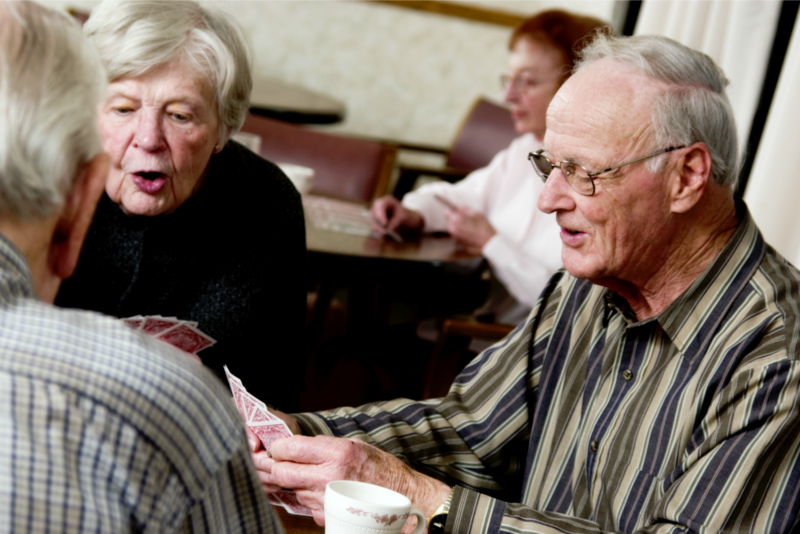 Members come to the Senior LIFE center to see the doctor, participate in recreational activities or therapies, have a hot lunch and snacks or to enjoy some entertainment. Members are provided with safe transportation and assistance from their homes to the Senior LIFE Center and back home again. With more than two decades of experience caring for the unique needs of seniors, Senior LIFE understands that those needs often go beyond basic health care. That’s why we also provide opportunities for members to socialize, participate in fun activities, and stay physically and mentally active. At Senior LIFE, our goal is to provide seniors with all the care they need to live happy, healthy, independent lives. This has been our mission for years—and that’s what we’ll continue to provide for you when you select The LIFE Program under Community HealthChoices. We understand that making a decision on a provider can be challenging. You may have questions you need answered before making a choice. That’s why we’re offering informational sessions at our Senior LIFE centers in the next few months. See below for a list of meeting times and locations. Tuesday, Oct. 10, 12–2 p.m.
Monday, Oct. 16, 5–7 p.m.
Wednesday Oct. 18, 4–6 p.m.
Wednesday, Oct. 18, 6–8 p.m.
Thursday, Oct. 19, 5–7 p.m.
Thursday, Oct. 19, 5:30–7:30 p.m.
Tuesday, Oct. 24, 5:30–7 p.m.
Wednesday, Nov. 1, 1–3 p.m.
Thursday, Nov. 2, 2–4 p.m.
Monday, Nov. 6, 12–2 p.m.
Wednesday, Nov. 8, 1–3 p.m.
Thursday, Nov. 9, 1–2:30 p.m.
Friday, Nov. 10, 1–3 p.m. When it’s time to choose a provider under Community HealthChoices, Senior LIFE may be the best option. To learn more about the changes for Pennsylvania Medicaid or check Senior LIFE eligibility, take a look at our locations across the state to find the phone number for the location nearest to you. For more information, you may also visit the Community HealthChoices website or call the State of Pennsylvania’s Community HealthChocies hotline at (833) 735-4416.